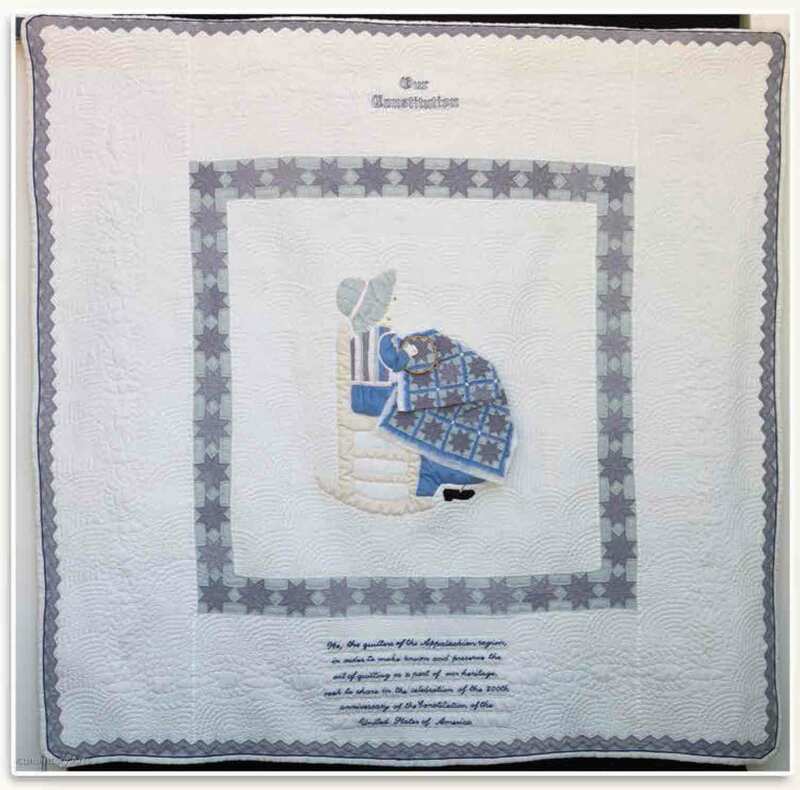 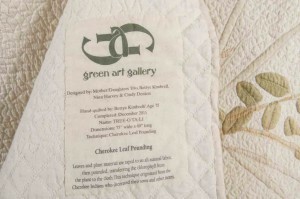 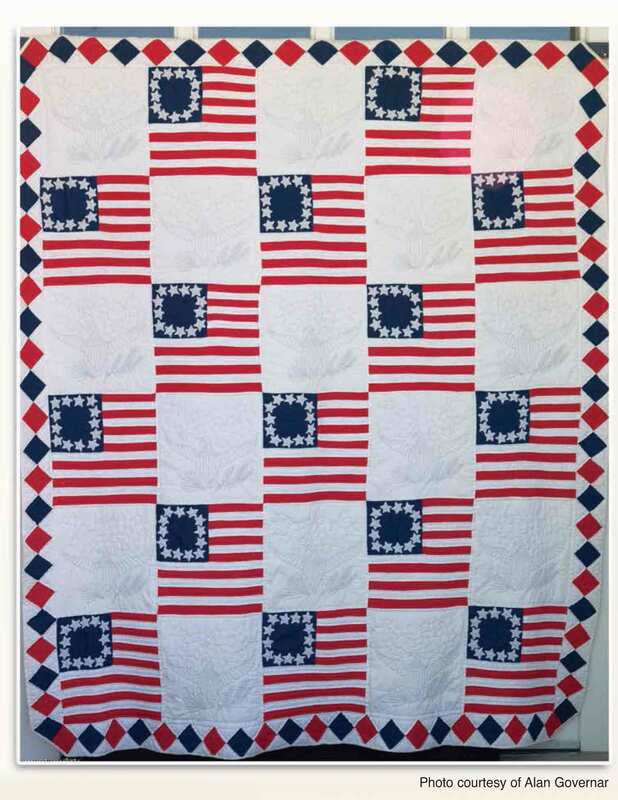 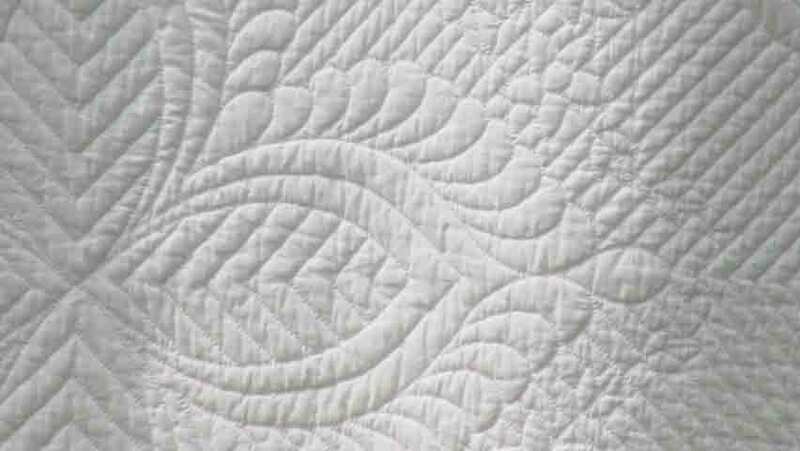 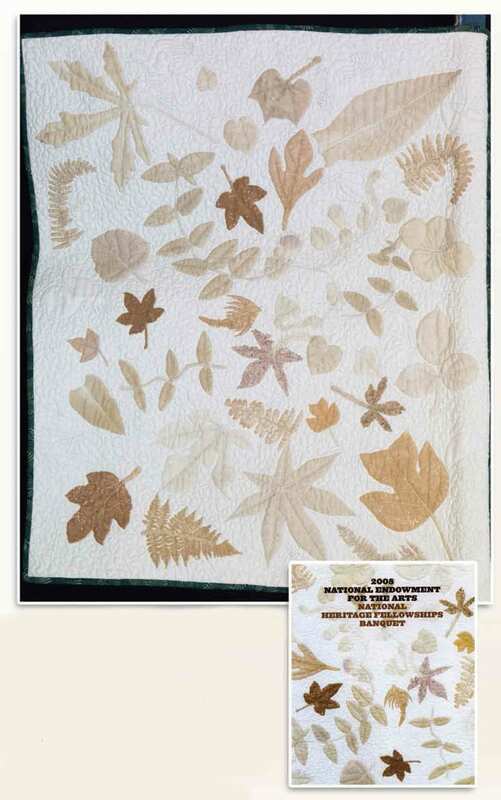 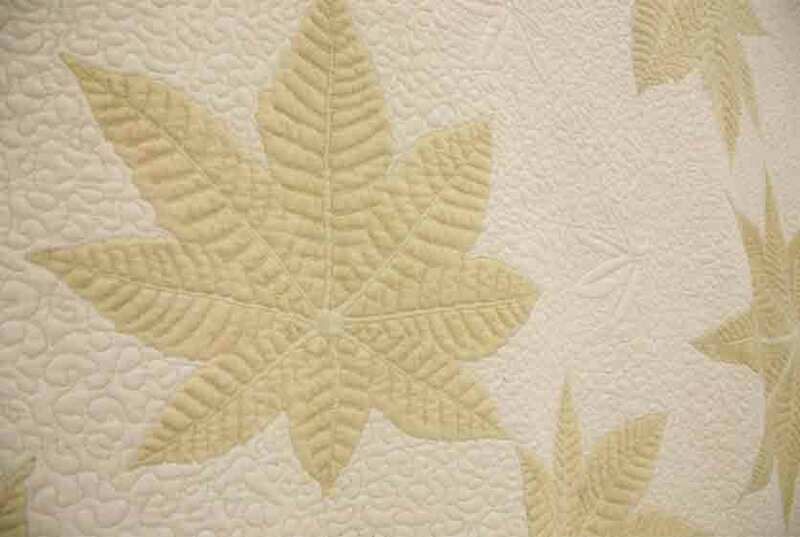 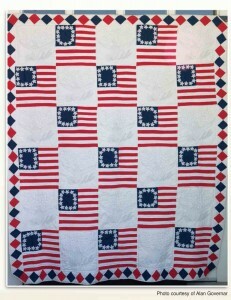 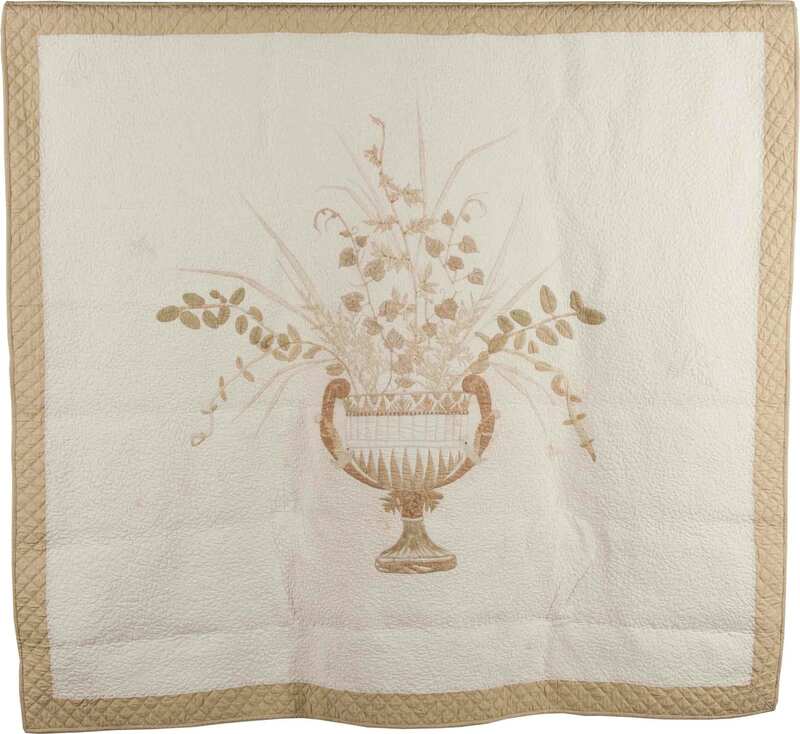 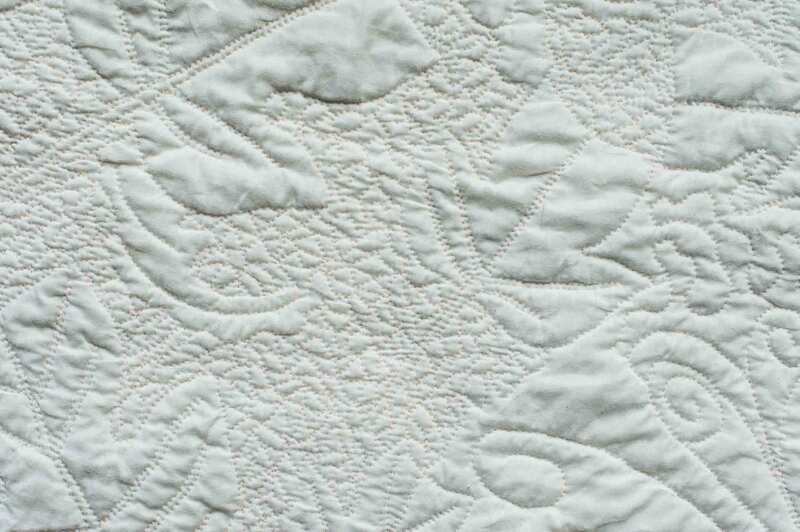 Bettye Kimbrell made a number of white-on-white quilts which showcase her extraordinary skill at hand-stitching. 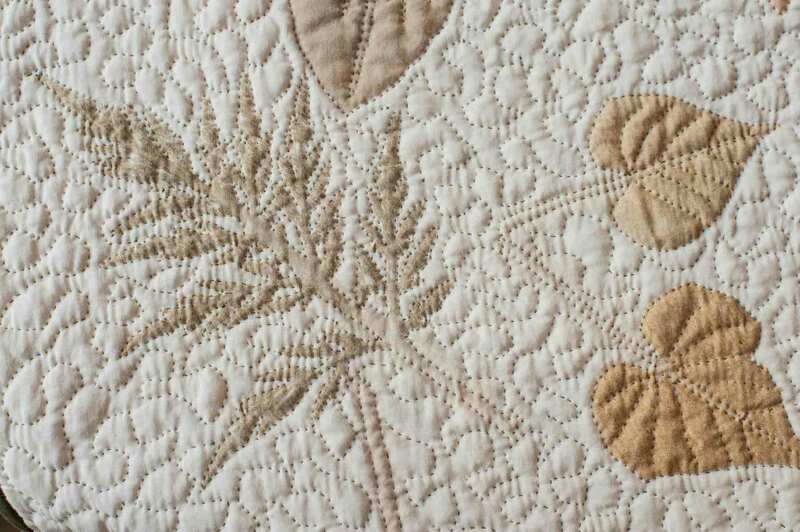 With a pencil she drew patterns on white fabric—sometimes original motifs, sometimes traditional designs using commercial stencils—then stitched over them with white thread, each stitch going through the top, batting, and back of the quilt. 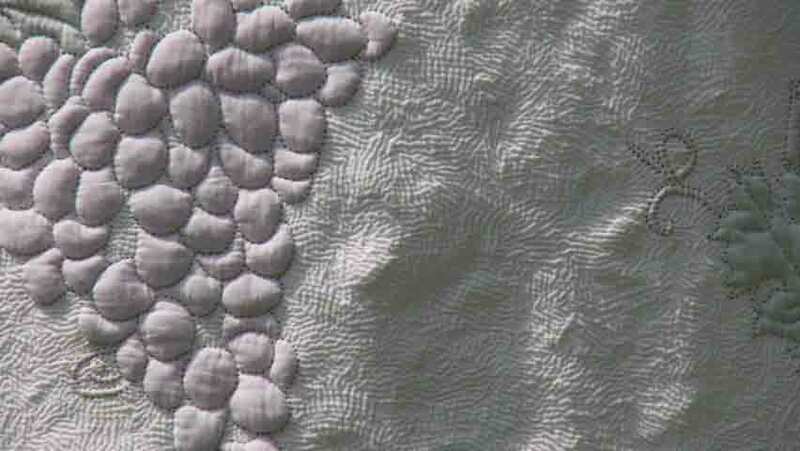 Designs emerged from the richly textured background. 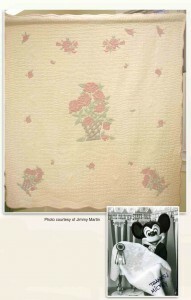 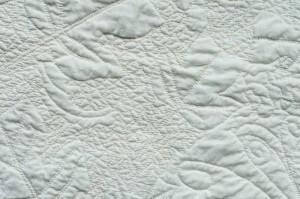 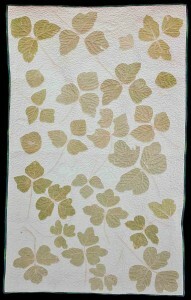 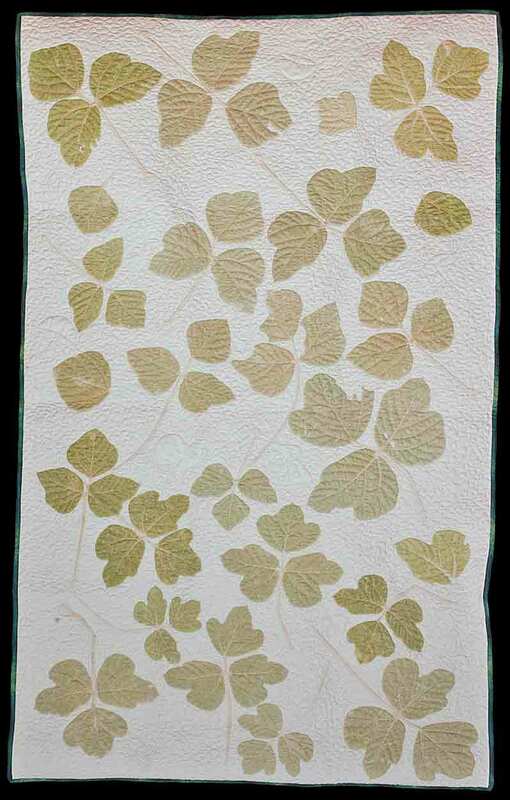 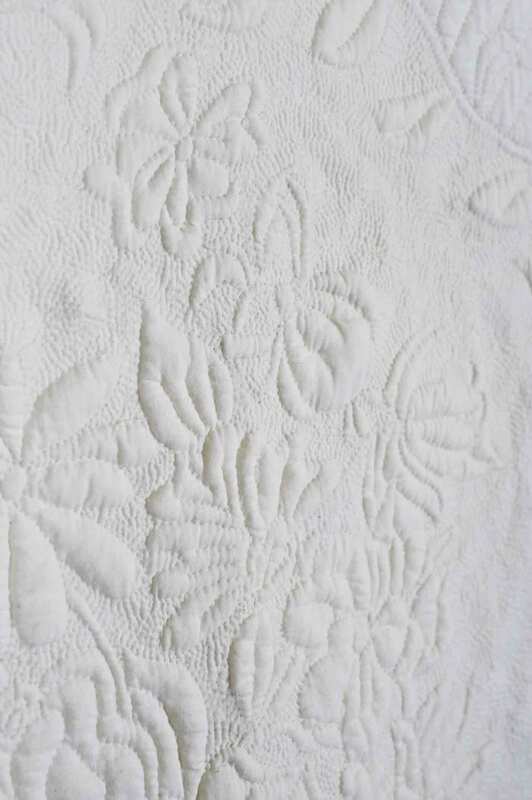 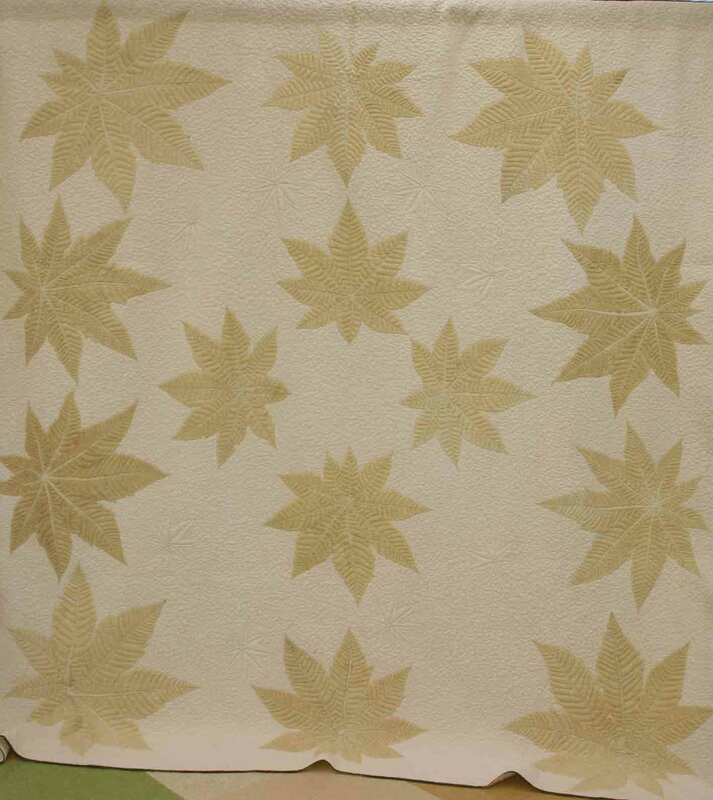 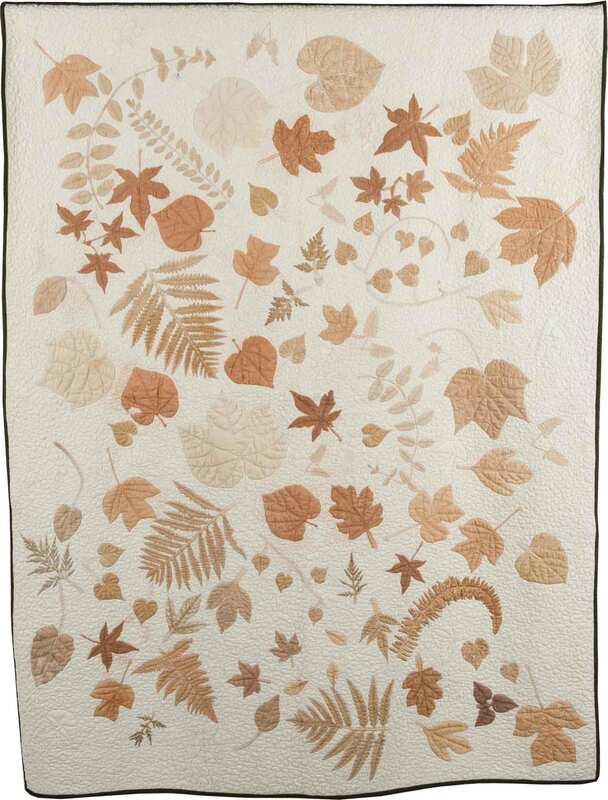 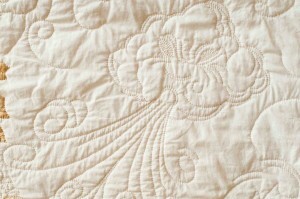 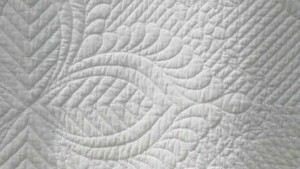 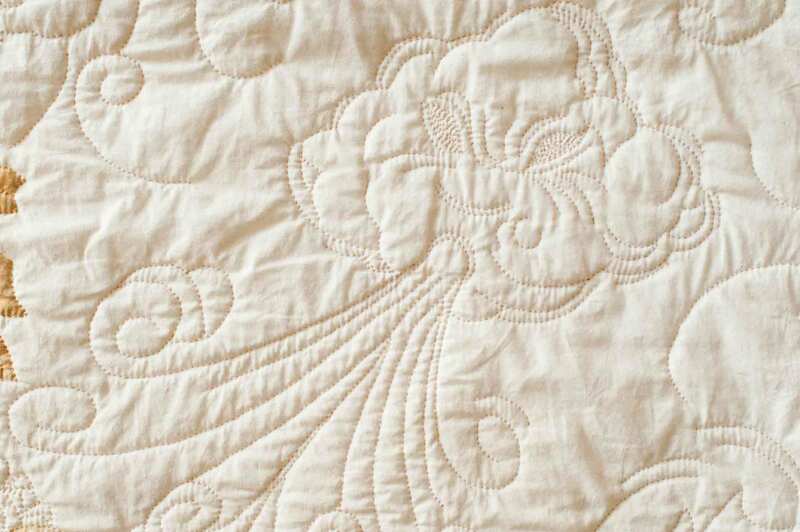 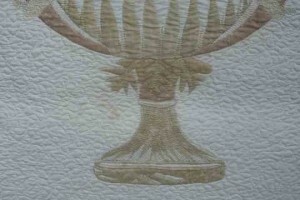 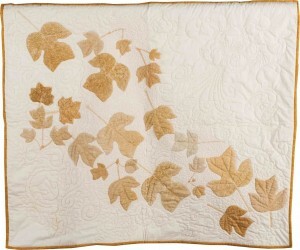 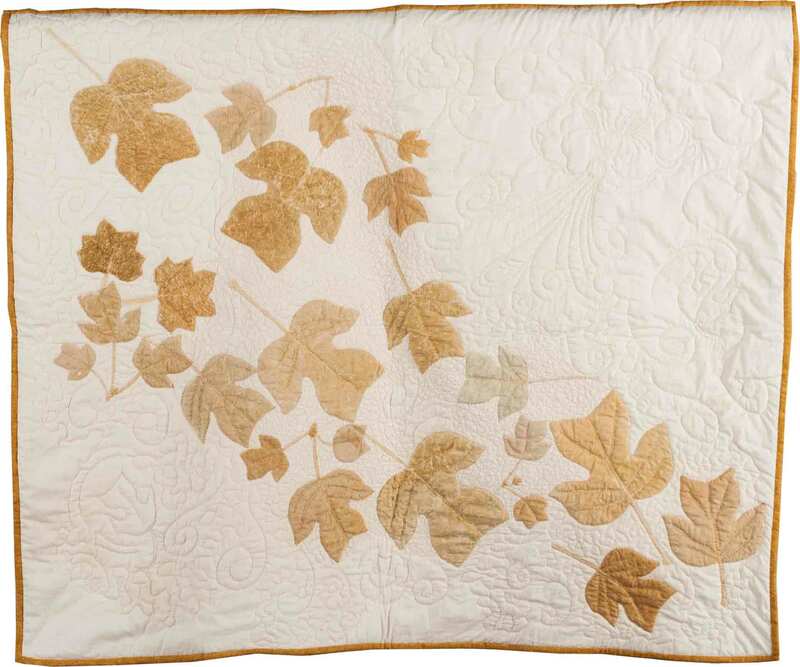 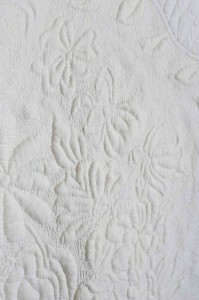 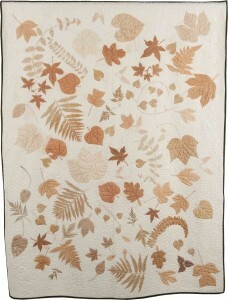 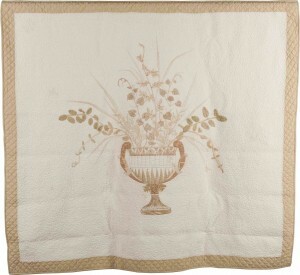 Bettye enhanced many of her white-on-white quilts with stippling. 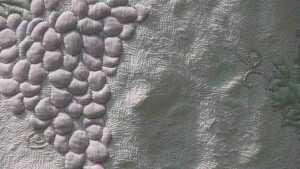 Stippling is a technique in which stitches are placed as close to each other as possible without touching. The designs that are surrounded by stippling become embossed, though they have not been stuffed. 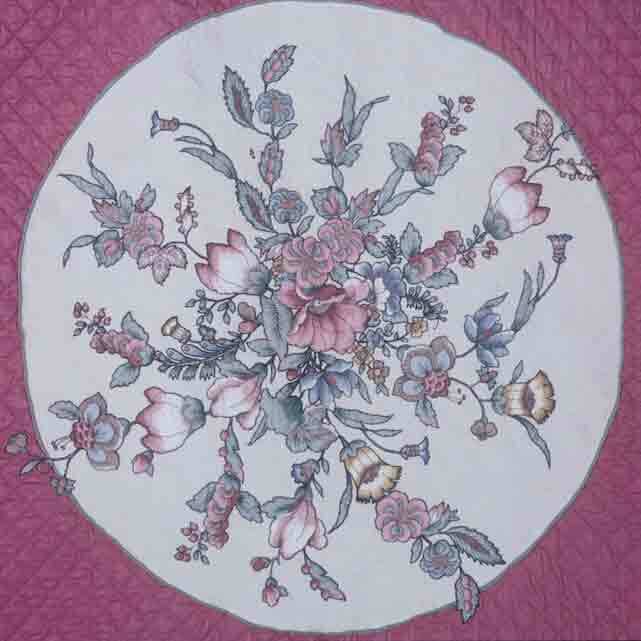 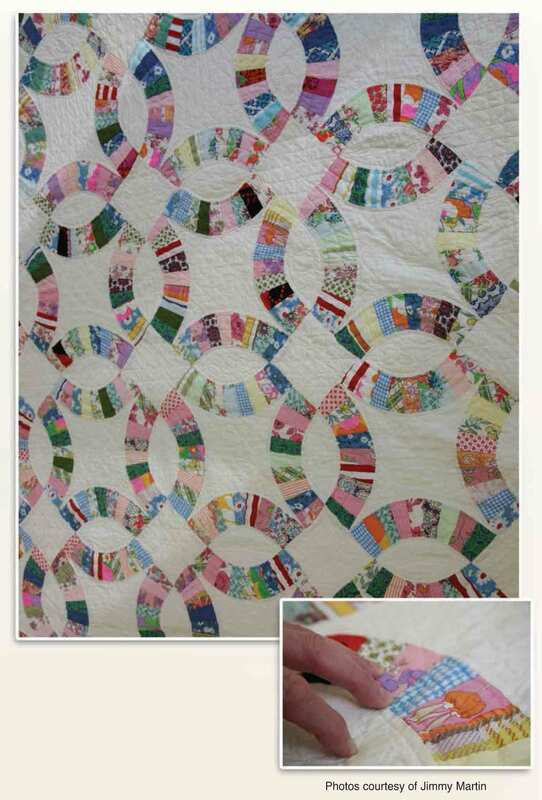 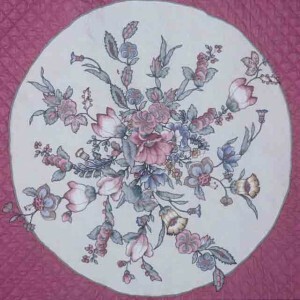 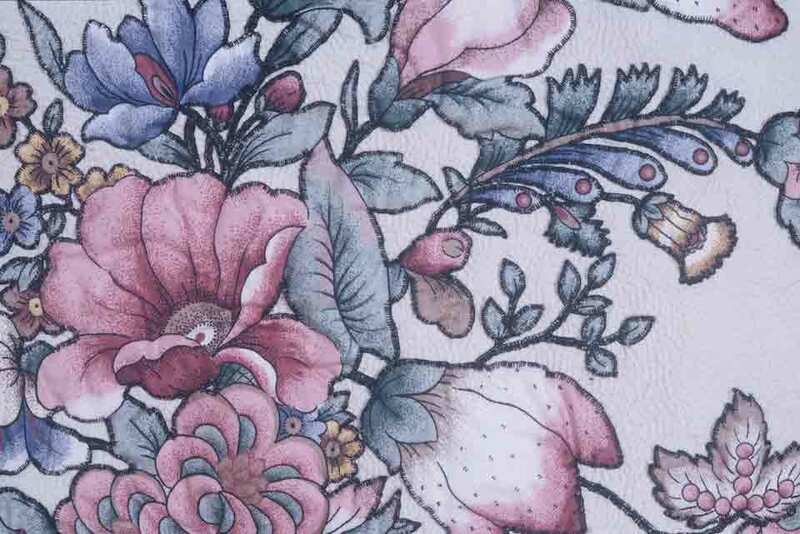 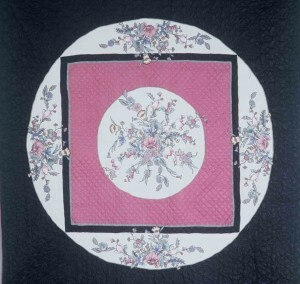 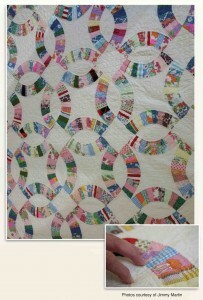 Detail showing how designs on chintz were trimmed away from their background and applied to quilt top with a button hole stitch. 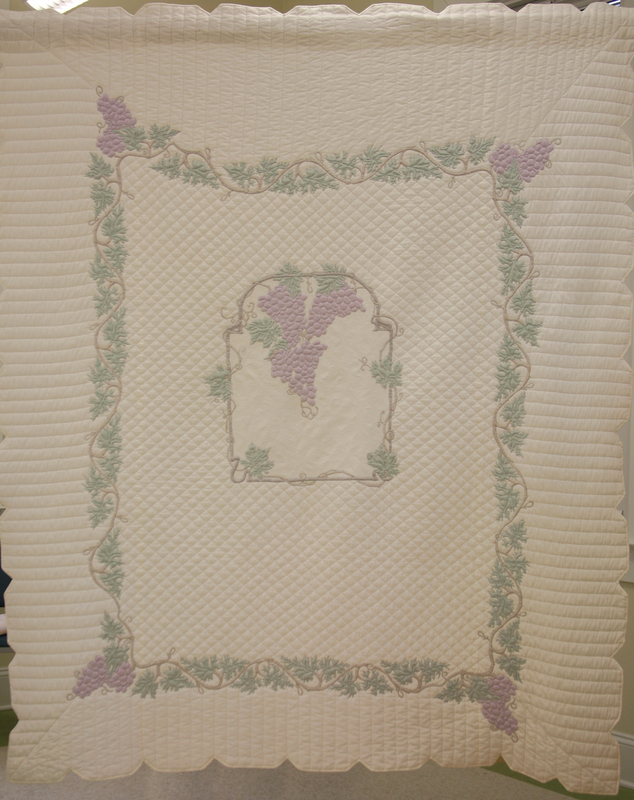 Note that the entire white background is stippled. 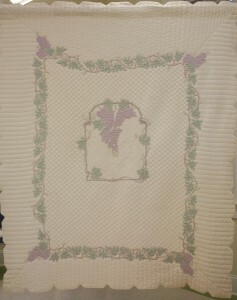 and remember an Easter dress I hated and a pair of plaid bell bottom pants I wore in the 5th or 6th grade that I loved! 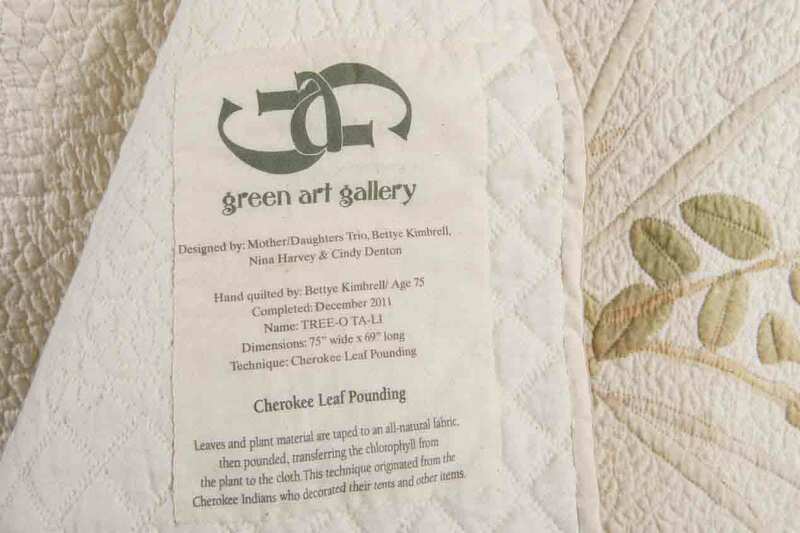 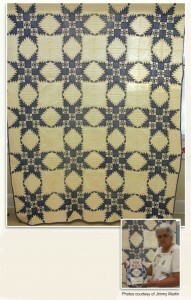 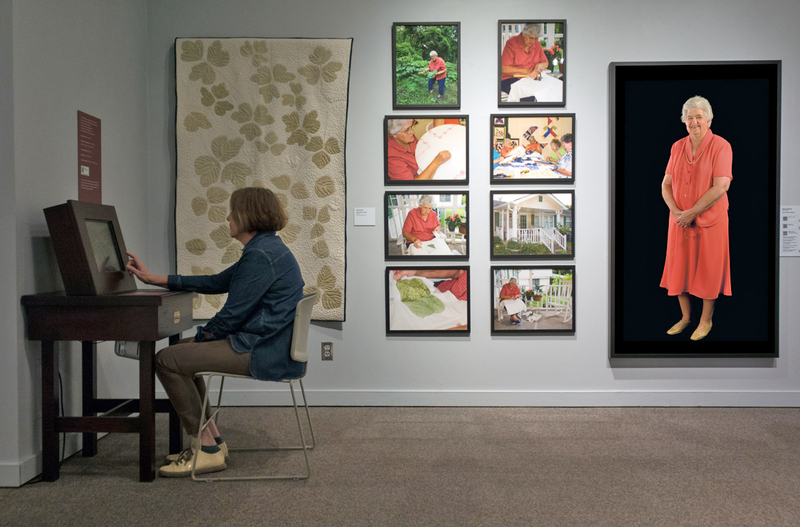 ” It was the first quilt she entered in a competition, the 1970 Alabama State Fair. 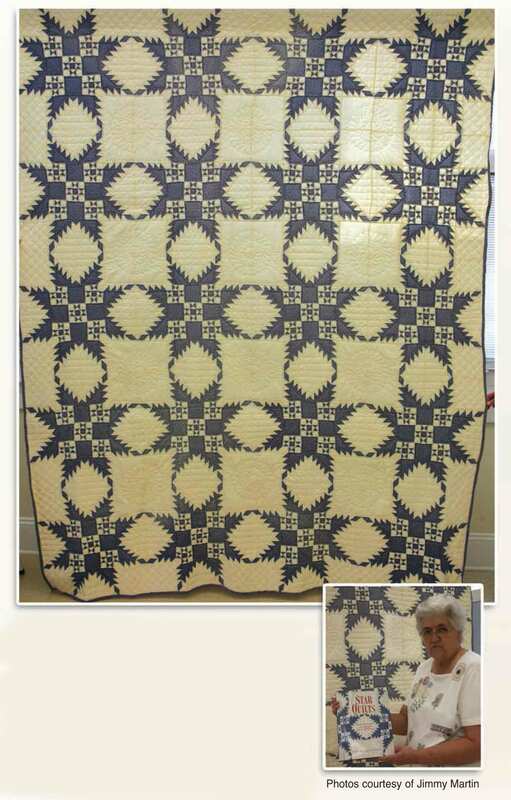 She won a blue ribbon. (Photo courtesy of Jimmy Martin). 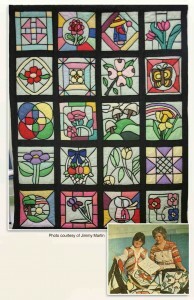 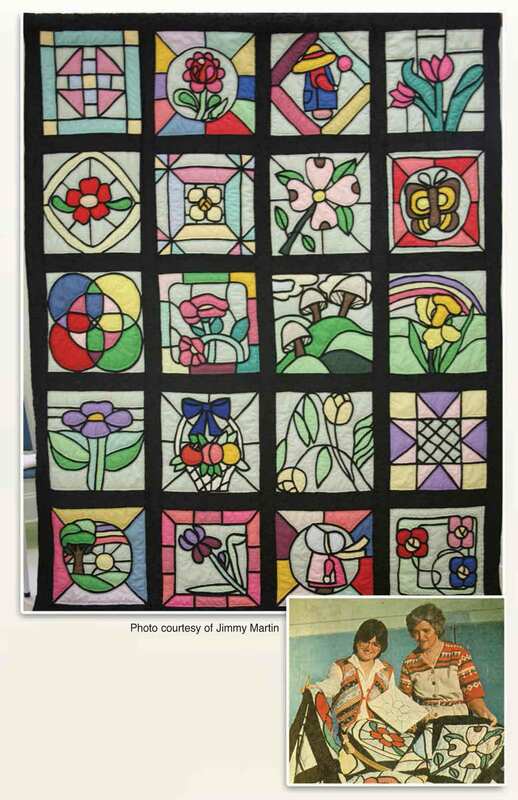 Stained Glass quilt with news photo of Bettye and daughter Cindy.